The MacWareTools PDF viewer tool allows you to open and read PDF file content on MAC OS. Even the software is capable to view PDF files that are protected by any type of restriction without any hassle. 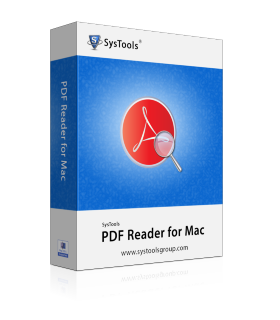 The MAC PDF viewer allows you to perform searches within PDF documents. This enables users to search a Word or a phrase in the document. The software will highlight the word wherever it's located in the PDF document. If the PDF file containing a large number of pages, The Mac PDF reader allows you to navigate between one page to another or you can direct enter the number of a particular page to quickly navigate to the respective page. The PDF reader for Mac provides various advance features such as zoom. The functionalities make the software unique and via this, users can view the content of their PDF files in a more systematic manner. In order to view the PDF file content more clearly, the Mac PDF viewer tool provides Zoom in and Zoom out option. This PDF reader tool for MAC built in such a manner that a non technical user can easily work on it. The Software can easily run on MAC OS X 10.6 and above versions. Mac PDF viewer freeware is an amazing product. I have tried it for the first time and received great outcome. I downloaded the free version of the tool and open multiple PDF files. Now, I am greatly satisfied with the result. I would surely recommend it for future purposes. Thank you very much. How to view PDF files on MAC became a troubling query in my mind as I am a non-technical user. I searched a lot for such solution by which I can at least view my pdf file without any error on my machine. Meanwhile, I came across this PDF File Reader, which was exactly the one for what I was searching for. The software is having an easy-to-use interface and can even be accessed by a novice user. Can I view PDF files on Mac sierra? Yes, PDF viewer for Mac allow you to view PDF file on 10.6 and above versions. Is it required to have installed the Adobe Acrobat reader to run this software? No, this is a standalone tool. So, you can view a PDF file without installing Adobe Acrobat reader on your system.